Phoenix’s elevation is 1,117 feet and is located in the heart of the Sonoran Desert. It is a sprawling metropolitan desert area that extends from trendy Scottsdale in the northeast, to sporty Glendale and numerous expanding towns in the west. In the heart of the Greater Phoenix area is Tempe, an active university town-home to Arizona State University. To the east lie cities including Chandler, Gilbert, Queen Creek and Mesa. Desert mountains surround the area, creating “The Valley of the Sun” There are six lakes within a 75-minute drive of Phoenix. 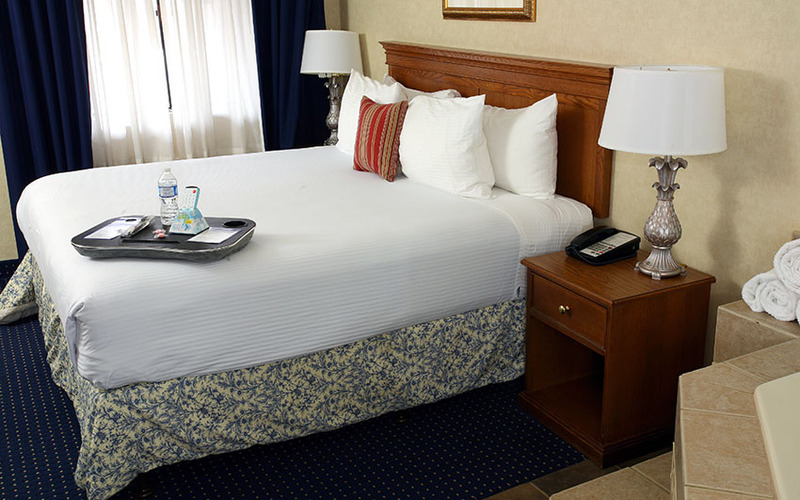 BEST WESTERN InnSuites Phoenix Biltmore is about 15 minutes to the Phoenix Convention Center, Symphony Hall and Orpheum Theatre. The Greater Phoenix Chamber’s mission is to support the growth and development of business and the quality of life of our community, champion the voice of business in government and keep businesses informed, connected and prosperous. There will be something for everyone in the family at the Arizona Fair this year. Numerous food booths will be there to get your carnival cravings. Musical guests Alabama Shakes, Billy Currington, The Wanted, Trace Adkins, ZZ Top, and more will be performing. With Native Spirit Dancers, the Great American Petting Zoo, and the Great American Duck Race, there will always be attractions for the family. The women’s expo brings you new and innovative products, services and ideas from all over the world. BEST WESTERN InnSuites is the perfect gateway to the exciting array of attractions and activities in the Phoenix/Scottsdale/Glendale area. Enjoy hands-on museums including Arizona Science Center and Arizona Challenger Space Center. Take in a game of golf or watching a Phoenix Suns-Phoenix Coyotes-Arizona Diamondbacks-Arizona Cardinals game. 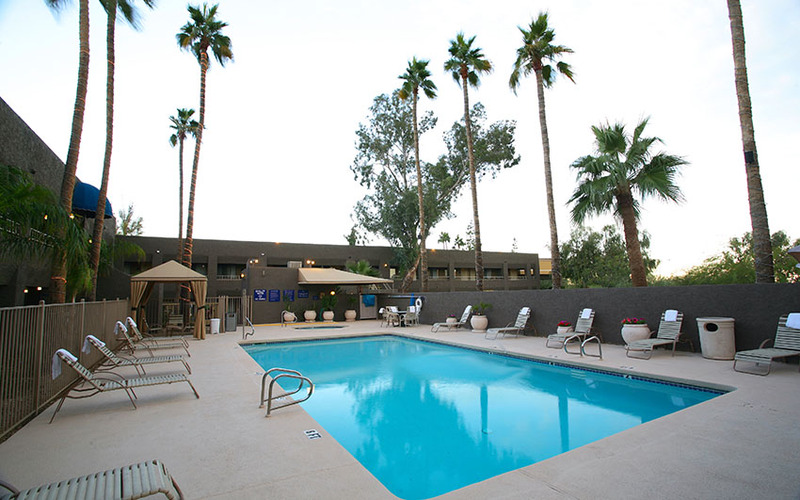 Enjoy quick access to nearly every museum, Phoenix business, shopping venue, and park imaginable. Allow the front desk to arrange a day of desert exploration, horseback riding or hot–air ballooning. Enjoy a unique Sonoran Desert, a nearby saguaro cactus or breath-taking sunset. Phoenix Art Museum was founded in 1949 and opened in 1959. It is a private not-for-profit organization that evolved from its predecessors, Phoenix Art Center and the Phoenix Fine Arts Association. In 1996, Phoenix Art Museum celebrated the conclusion of an extensive $25 million expansion and renovation which more than doubled its size. At over 160,000 square feet, it is one of the largest general visual arts institutions in the Southwest. The Arizona Science Center offers hands-on, eye-opening fun with more than 300 interactive exhibits, a state-of-the-art planetarium, five-story giant-screen theater, live demonstrations, and traveling exhibitions. Acting on the principle that learning is a joy, the Children’s Museum of Phoenix’s mission is to engage the minds, muscles and imaginations of children and the grown-ups who care about them. With hands-on, interactive exhibits designed for children ages birth to 10, the Museum focuses on learning through play, with emphasis on early childhood education and school-readiness. The Challenger Space Center provides an exciting space-based learning environment where schoolchildren, families, senior citizens, corporate teams and others fly simulated space flight missions where they become flight crews, mission controllers and scientists. The Phoenix Museum of History is dedicated to collecting, preserving, and exhibiting the early history of Phoenix. Visitors of all ages enjoy interactive and educational exhibits showcasing Phoenix’s metamorphosis from a dusty desert town to a modern metropolis. Now in its seventh decade, the museum continues to receive recognition and appreciation for its contribution to the cultural life of Phoenix. For nearly 75 years, the Heard Museum has been a Phoenix landmark, a place where visitors from across the globe come to learn about the region’s Native cultures and art. With every exhibit the Heard presents, education plays a major role throughout the planning process. Unlike many museums that show “objects on a shelf” the Heard strives to present voices and perceptions of the people who made the work on display, and Native American consultants play a vital role in the development of every exhibition. Visit the beautiful Phoenix Zoo, home to over 1,200 animals. Centrally located in the Phoenix metro area, the Phoenix Zoo offers an exciting array of animal exhibits, unique special events, educational programs and outdoor recreational activities for people of all ages. Nestled amid the red buttes of Papago Park, the Desert Botanical Garden hosts one of the world’s finest collections of desert plants. This one-of-a-kind museum showcases 50 acres of beautiful outdoor exhibits. Home to 139 rare, threatened and endangered plant species from around the world. Located along the western edge of the Phoenix metropolitan area in Litchfield Park, the Wildlife World Zoo is home to Arizona’s largest collection of exotic animals with over 3000 animals representing nearly 600 species. The all-new Wildlife World Aquarium’s campus-like design is unique with some 75 indoor exhibits featuring fish, mammals, birds, invertebrates, amphibians, and reptiles. Lions, Tigers, Giraffe, Rhinoceros, Black Bear, Camel, Ostrich, Cobras, Zebra, Exotic Birds, Tortoise, Wildebeest, Jaguar, Leopards, Wolves, Hyenas and more! Find your lucky streak in one of the Phoenix Valley of the Sun’s Casinos! Home to 750 hot slots, live poker, blackjack and keno, high-stakes bingo hall as well as a restaurant with buffet, two delis, and a gift shop. Treat your senses to the most powerful and involving movie experience yet created. The academy award winning IMAX technology brings images to life like no other. Experience an arm chair adventure that will take your breath away…literally! ASU Gammage seats over 3000 and is among the largest university-based presenters of performing arts in the world and home theatre of the M&I Bank Broadway Across America – Arizona and The New Times Beyond Broadway Series. One of the last designs by Frank Lloyd Wright, ASU Gammage is named for Dr. Grady Gammage, President of ASU from 1933 to 1959. The 1,364-seat Orpheum audience chamber, now has 1,062 seats on orchestra level, and 302 in the balcony. The Dodge Theatre is a state of the art entertainment venue designed specifically for concerts, Broadway shows, family stage shows, boxing, and convention meetings. Seating varies from 1,900 to 5,500. For a great time, Celebrity Theatre is the only place in town to catch a concert, play or special event and no seat is farther than 75 feet from the stage!! One of the theatre’s most notable features is its signature revolving center stage. If you thought Phoenix was surrounded by flat, sandy desert, you are in for a surprise. True, there is a desert here, but it is a lush desert where tall saguaro cacti tower over mesquite, ironwood, creosote, and many smaller cacti that bear vibrant blooms. Hills and mountains break the view, and distant mountains promise cool forests of ponderosa pines. Arizona’s landscape is varied and beautiful, and you can see a lot of it in a series of day trips out of Phoenix. Some popular day trips include: Prescott, Payson, Jerome, Sedona, Flagstaff, Tucson, Tombstone and Mexico. 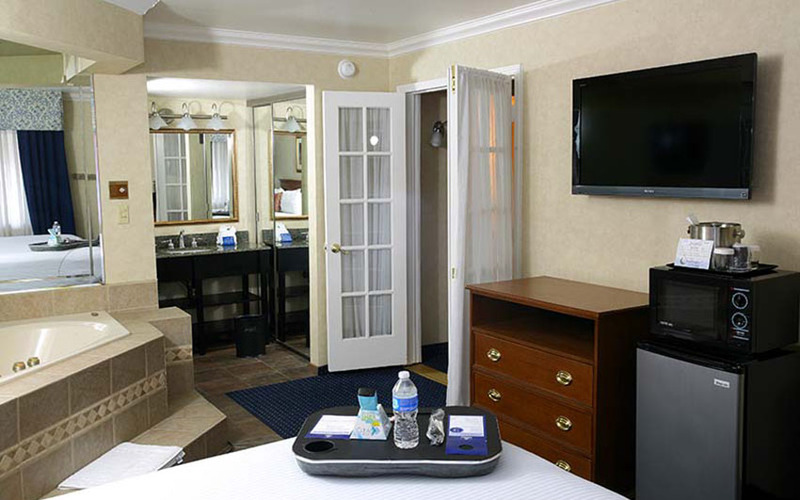 BEST WESTERN InnSuites Phoenix Hotel & Suites is a perfect gateway to visiting The Grand Canyon. Nearly five million people see the 1 mile deep (1.6 km) Grand Canyon each year. Most of them see it from their car at overlooks along the South Rim (this includes Grand Canyon Village, Hermits Rest, and Desert View). The South Rim is the most accessible part of the park and is open all year. A much smaller number of people see the Canyon from the North Rim, which lies just 10 miles / 16 km (as the condor flies) directly across the Canyon from the South Rim. The North Rim rises a thousand feet higher than the South Rim, and is much less accessible. Heavy snows close the road to the North Rim from late October to mid May of each year. Even in good weather it’s harder to get to. It is 220 miles / 354 km by car from the South Rim, or 21 miles / 34 km by foot across the Canyon by way of the North and South Kaibab Trails. The Inner Canyon includes everything below the rim and is seen mainly by hikers, mule riders, or river runners. There are many opportunities here for adventurous and hardy persons who want to backpack, ride a mule to Phantom Ranch, or take a river trip through the Canyon on the Colorado River (which can take anywhere from a few days to three weeks – there are no one-day river trips through Grand Canyon). 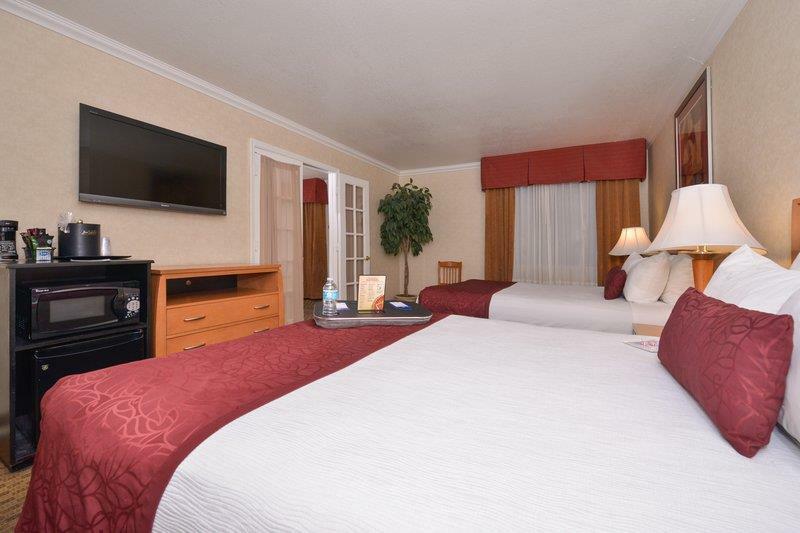 BEST WESTERN InnSuites Phoenix Hotel & Suites is a perfect gateway to visiting Sedona, Arizona. Approximately 2 hours from Phoenix lies the town of Sedona–located in north central Arizona. Often called “Red Rock Country” Sedona is a four seasons playground for everyone – whether you’re into history and archaeology; arts and culture; shopping; outdoor sports; or the spiritual and metaphysical, imagine doing all this in a backdrop of some of the most spectacular scenery in the world. This picturesque city is surrounded by red-rock monoliths named Coffeepot, Cathedral and Thunder Mountain. At the north end of the city is the stunning Oak Creek Canyon, a breathtaking chasm that is wildly wonderful. Natural endowments aside, you’ll also find a very good variety of dining to keep you satisfied. Kick back and enjoy the beauty that Sedona offers. 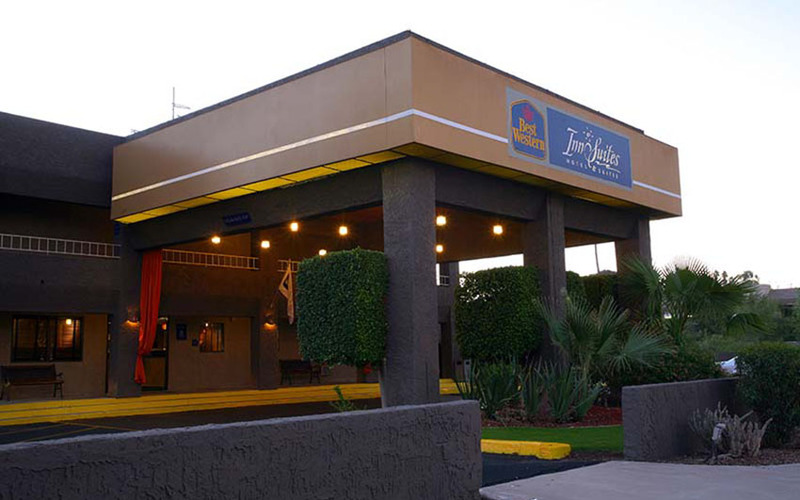 BEST WESTERN InnSuites Phoenix Hotel & Suites is a perfect gateway to Southern Arizona. Southern Arizona offers many fun and exciting places to visit including Tucson, Tombstone and Mexico. Only 2 hours south of Phoenix, Tucson is surrounded by majestic saguaro forests and dramatic mountain peaks. Tucson blends the beauty of the natural world with the excitement and amenities of a thriving city. Enjoy outdoor adventures, unparalleled golf, unique Southwestern cuisine, exploring the arts and attractions, and much more on your getaway in Tucson. Some of Tucson’s most notable events include: Tucson Gem Show, Tucson Rodeo, El Tour de Tucson and International Mariachi Conference. Driving about one hour southeast of Tucson is Tombstone, Arizona. “The Town Too Tough to Die” has a vast array of attractions and points of interest for all ages. There are many places to eat, drink, and sleep in town, as well. Several of the saloons in town offer live music on weekends, and most can accommodate dancing. There are a number of gunfight shows in town, stagecoach and wagon tours, and a city park. If you’re interested in shopping, Tombstone has a wealth of unique shops and services available to you. Driving about one hour south of Tucson is Nogales, Arizona which also borders Mexico. Just across the border from Nogales, Arizona, the two cities share the same name but the cultures have evolved separately. Fill your trip to Mexico with its traditions, wonderful shopping and great food. Take the time to enjoy the restaurants-La Roca and El Greco are a couple of local haunts but there are many terrific restaurants to choose from. Walking is a popular way to cross the border and Nogales, AZ has many guarded parking lots close to the port-of-entry. The cost to park your vehicle all day is very reasonable, generally under $4.00, and most of the shopping and eating attractions are close to the border and within easy walking distance. As you enter Mexico, you will see the Flag Island of the Americas, which has banners for all of the Mexican states-Nogales is in the state of Sonora. Turn right at Campillo Street and walk down three blocks to Obregon Street-now you can shop, browse, explore and enjoy the people, places, sights, and sounds of Mexico. If your love is pottery, glassware, furniture, baskets, rugs, leather, or jewelry you will, if you look, find unique and beautiful pieces at reasonable cost. A local business where you can find all of these items is El Sarape located on Calle Obregon, you can contact them at 011-52-631-312-0309. Prices at the shops are not fixed so prepare to enjoy bargaining-negotiate a price! Business is done in English and American currency is preferred. Before crossing the border give the U.S. Customs office a call to check for current regulations. The Mexican and U.S. Customs offices are available 24 hours a day to answer any questions (520) 287-1410. You may also call (520) 885-0694 for more information. 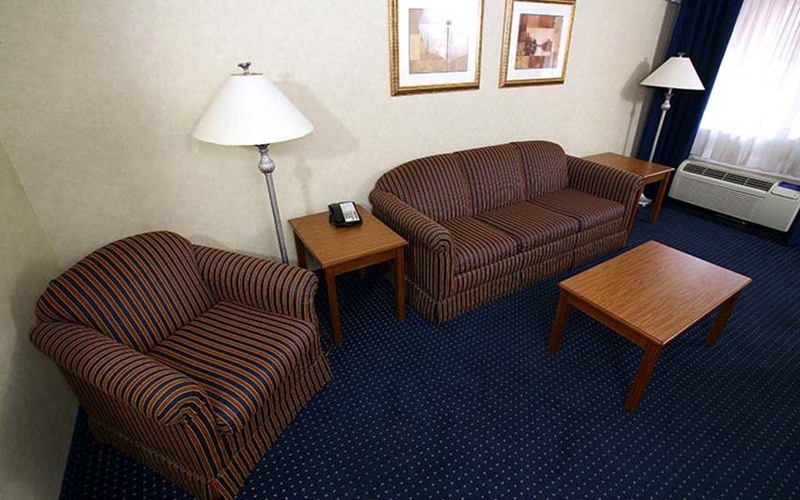 BEST WESTERN InnSuites Phoenix Hotel & Suites offers special group rates and discounts. To set up a rate agreement, please call our Sales Department at 602.997.6285.